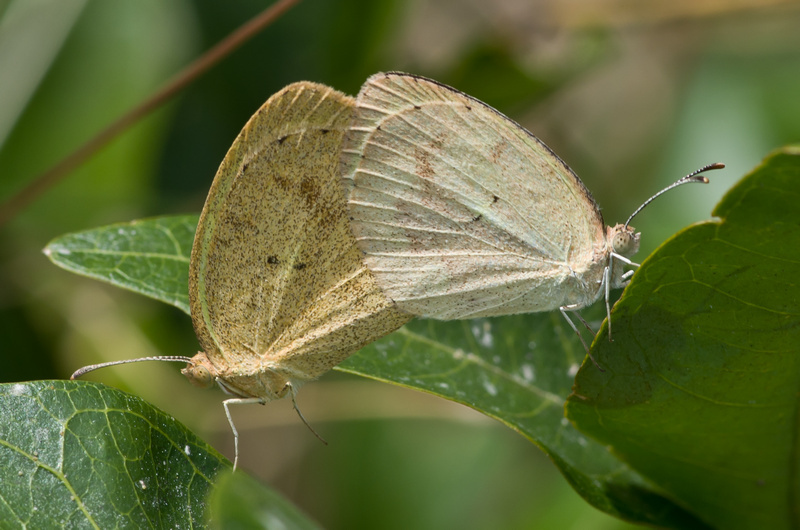 Identification: Males and females differ; plus 2 seasonal forms. Upperside of male forewing yellow with black bar along inner edge and a large black area at apex. 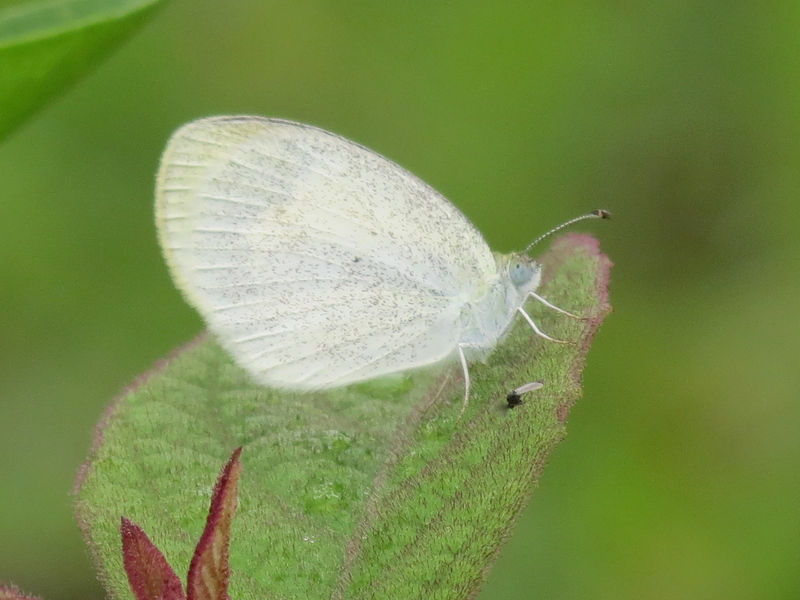 Female varies from yellow to white; forewing with gray-black on apex and black patch on outer edge of hindwing. Summer (wet season) form is smaller with more extensive black areas. 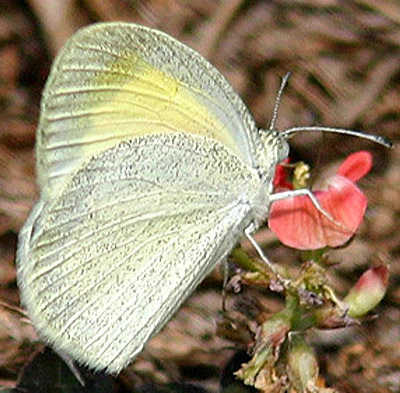 Underside hindwing of summer form is satiny white; that of winter form is brick red or tan with two small black spots in cell. 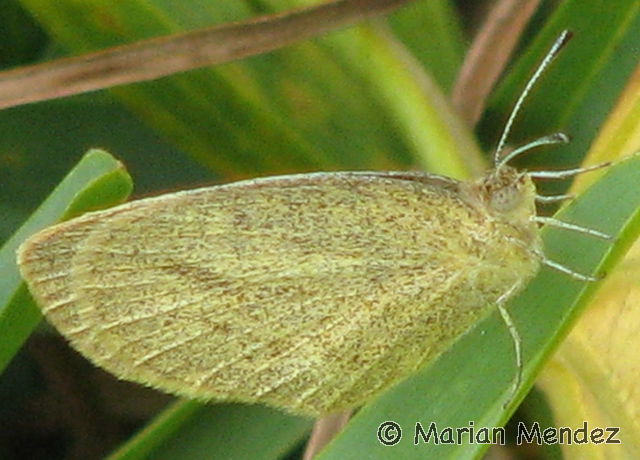 In southern Florida, some individuals have white hindwings. 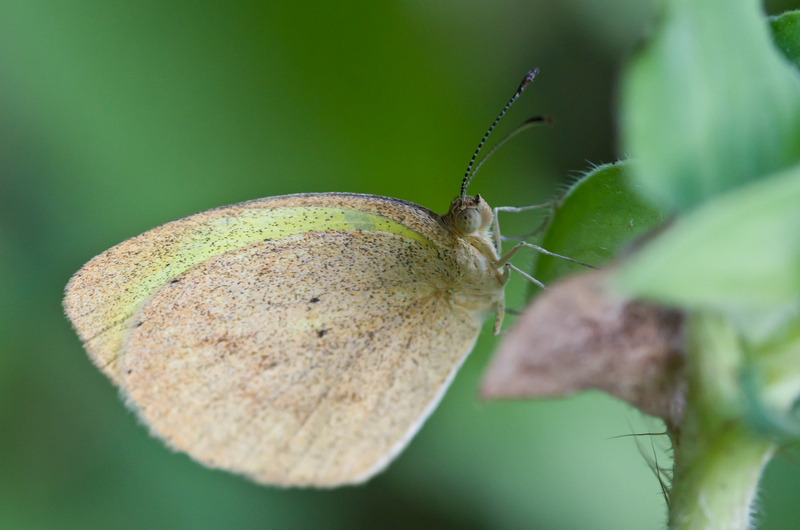 Life History: Males patrol open areas for females. 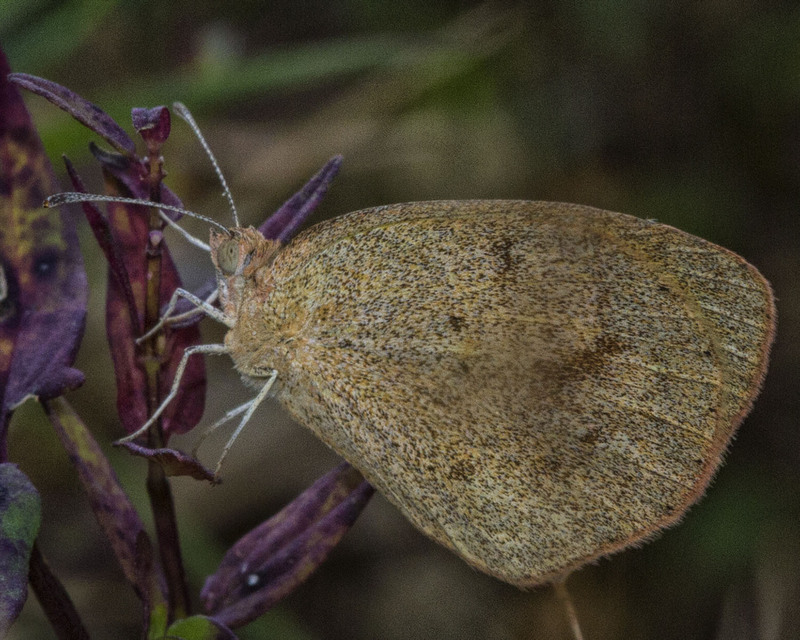 Females lay single eggs on the terminal growth of host plants. Caterpillars eat leaves. Non-reproductive dry season adults overwinter. Flight: Throughout the year in the Deep South, late summer and fall as vagrant. 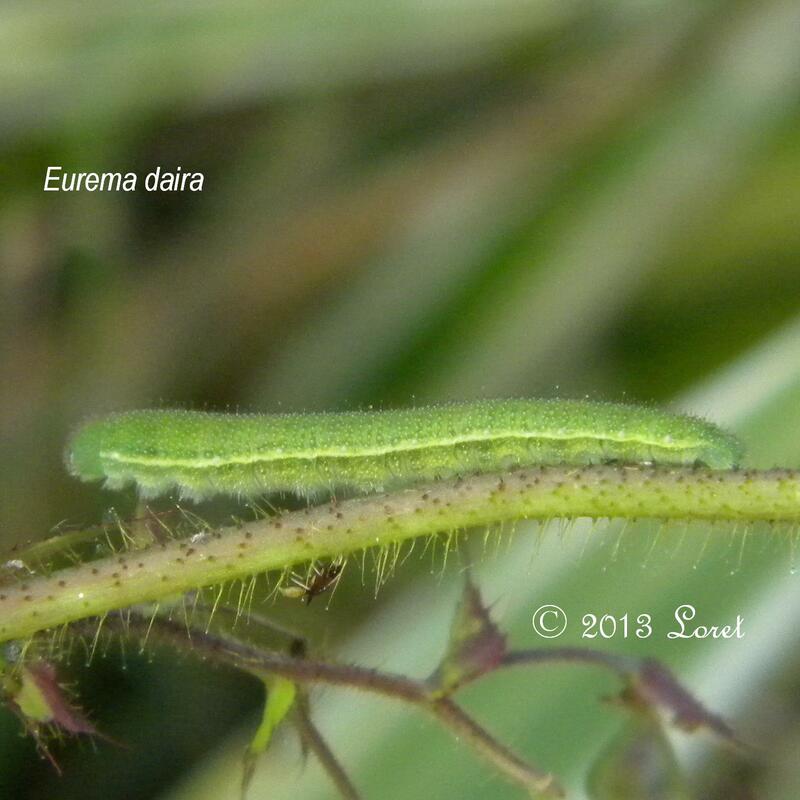 Caterpillar Hosts: Pencil flower (Stylosanthes biflora), joint vetches (Aeschynomene species), and other plants in the pea family (Fabaceae). 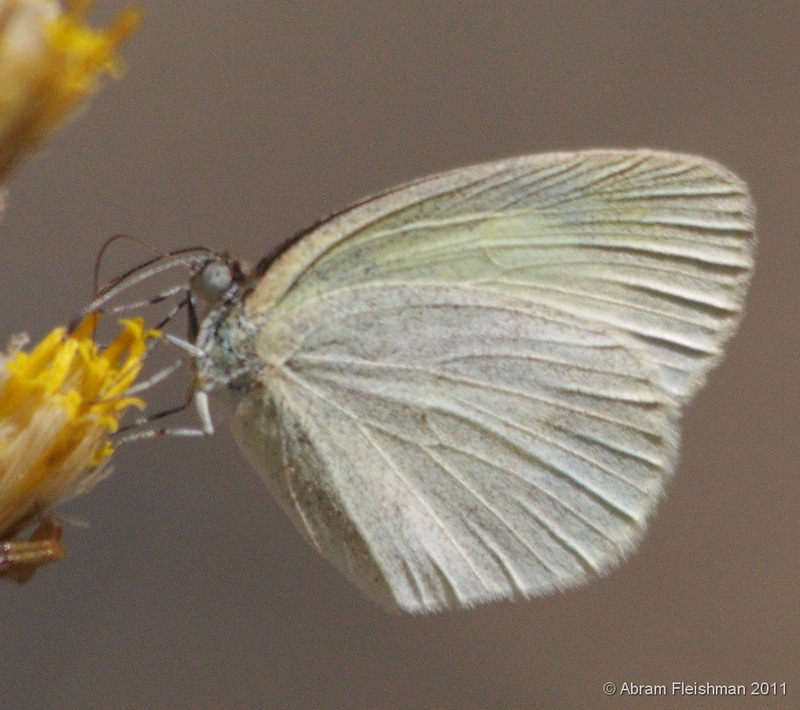 Adult Food: Nectar from a great variety of flowers including joint vetches and shepherd's needle. Habitat: Tropical and subtropical dunes, pastures, open pine woods. Range: Argentina north to the United States Deep South; stray to southern Arizona, South Dakota, South Texas, and Washington, D. C.